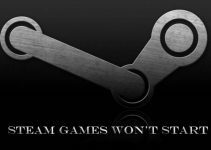 Many Windows 10 users are getting that “Can’t play. This item was encoded in a format not supported 0xc00d5212 (0xc00d5212)” while they are trying to play a video .avi or .mp4 file on Windows 10. 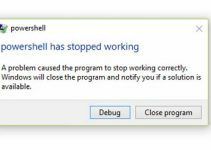 The error code 0xc00d5212 is an annoying problem for anyone what want to play videos or music through Groove, Xbox music or Windows Media Player. If you also faced Windows 10 can’t play videos, don’t worry, because today I will share you some solutions to fix this error code 0xc00d5212 in Windows 10, Windows 8/8.1 or Windows 7. Many users have resolved the error code 0xc00d5212 by simply changing their default Windows Media player to VLC Media Player. There are many file formats that Windows Media player doesn’t support them. In this case, you need download and install VLC media Player. After installing VLC completed, you right-click on the file video or music that is throwing error and open it with VLC Media Player. Now you will see the file should play smoothly in VLC Media Player. If you don’t want to use VLC Media Player, you can also install Sony Vegas Pro 13 to fix the error 0xc00d5212 on Windows 10/8/7. 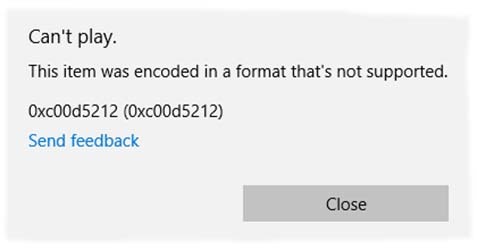 If you can’t play videos on Windows 10/8/7 and then the error code 0xc00d5212 pops up, chances are your file has incorrect Codec. Many videos taken from Smartphones or any other device may have the wrong Codec. It is a reason that you can’t play videos on Windows 10/8/7. To fix this issue, you need to convert your video from one file format to another. Now you install Video Converter tool on your computer. Then you just select the file in the Converter tool and Convert. When the Conversion process is completed, you open the file with VLC Media Player and check if the error code 0xc00d5212 is solved. Step 1. First of all, you press Windows Key + R and type devmgmt.msc and tap Enter to open Device Manager. Step 2. In the Device Manager window, locate the Display adapter device and expand the driver icon. Right click on the driver icon and select Update driver software. Step 3. Next, you select Browse my computer for a driver software. Step 4. Moving on, you click Let me pick from a list of device drivers on my computer. Step 5. Now, you select the driver option according your device model and installed. Step 6. Lastly, restarted your computer and see if the error code 0xc00d5212 is fixed. If the error code 0xc00d5212 still occurs, you can visit to the manufacturer website of the computer to download and install the latest the display driver. Hope you can fix error code 0xc00d5212 while playing Videos or Music in Windows 7/8/10. If you have any other Windows and Office related issues you can check for the solution in my Windows fix section.